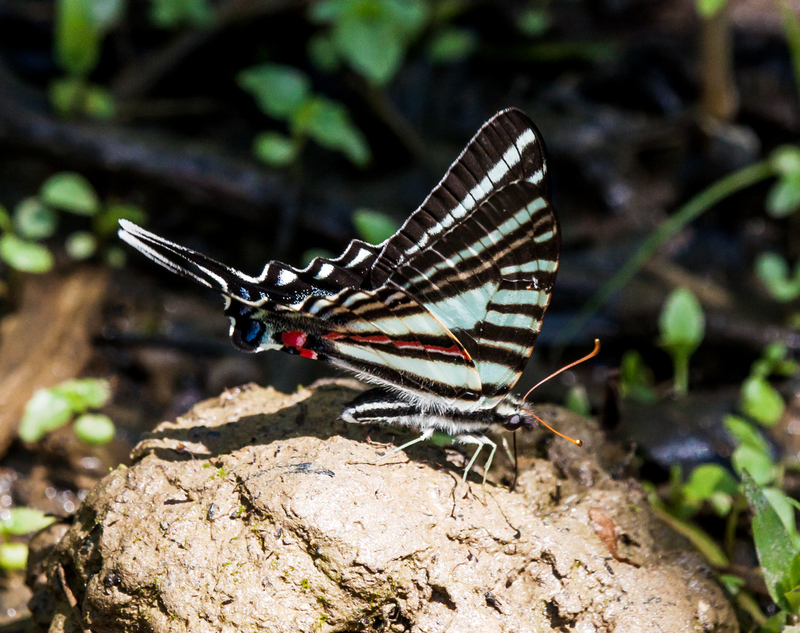 One of the coolest looking butterflies in our area is the Zebra Swallowtail butterfly (Eurytides marcellus). In addition to having beautiful coloration, it has amazingly long “tails” that flutter when it is in flight. It is not a species that I see very often, so I will spend a lot of time chasing after one when I spot it, hoping, often in vain, that it will perch long enough for me to get a shot. This Zebra Swallowtail, which I chased this past Friday at Occoquan Bay National Wildlife Refuge, was reasonably cooperative, though it refused to open its wings to give me a view of its entire wingspan. 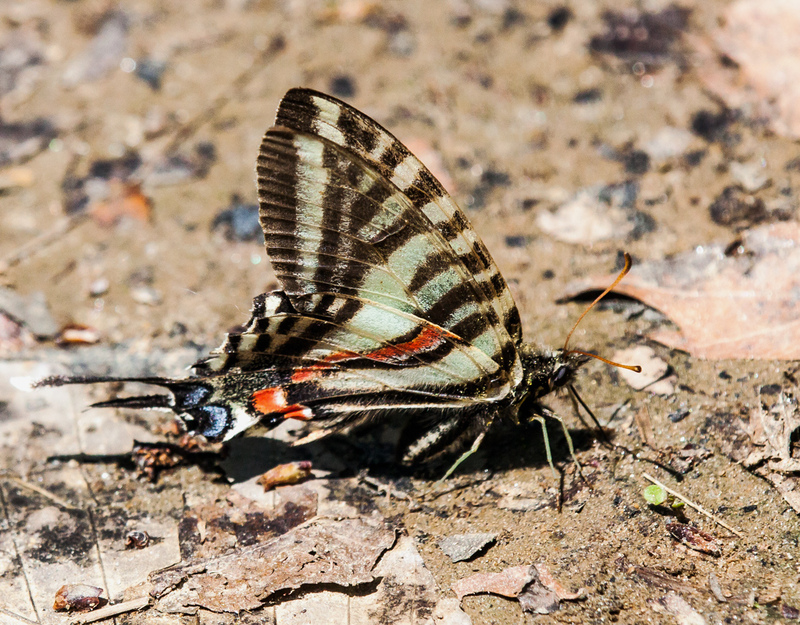 As I was out searching for dragonflies in the heat of the midday sun, a butterfly came fluttering into view. I haven’t seen many large butterflies yet this spring, so I followed after it, trying to identify it. 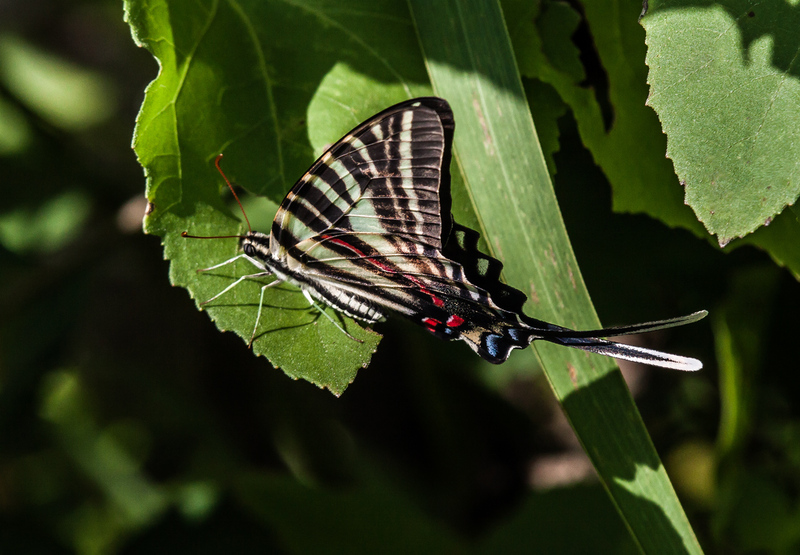 When the butterfly paused for a moment to feed on one plant, I scrambled to get a shot. 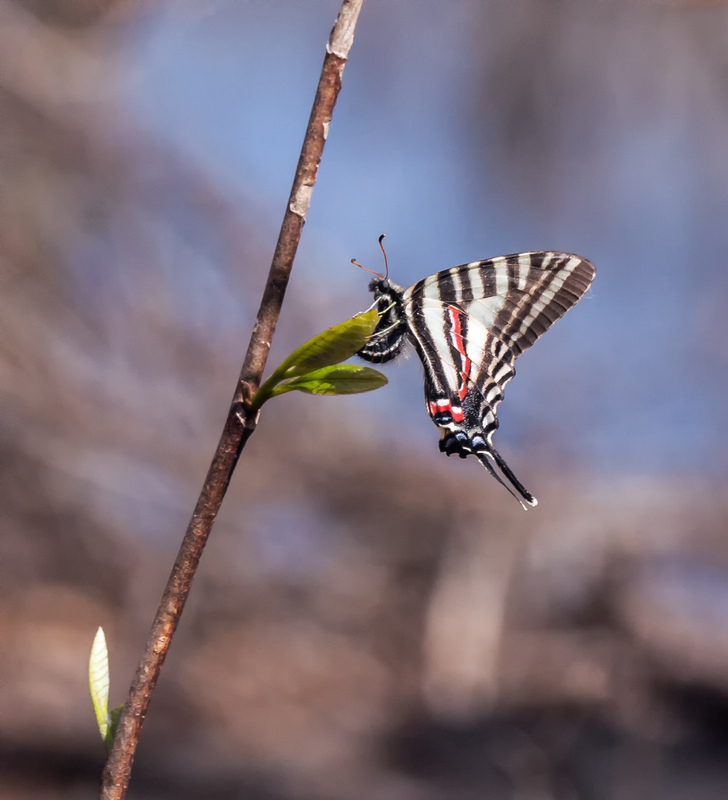 The light was harsh and coming from a bad direction, but my long telephoto showed me clearly that it was a swallowtail butterfly, but definitely not at all colored like the Eastern Tiger Swallowtails that I often see during the summer. 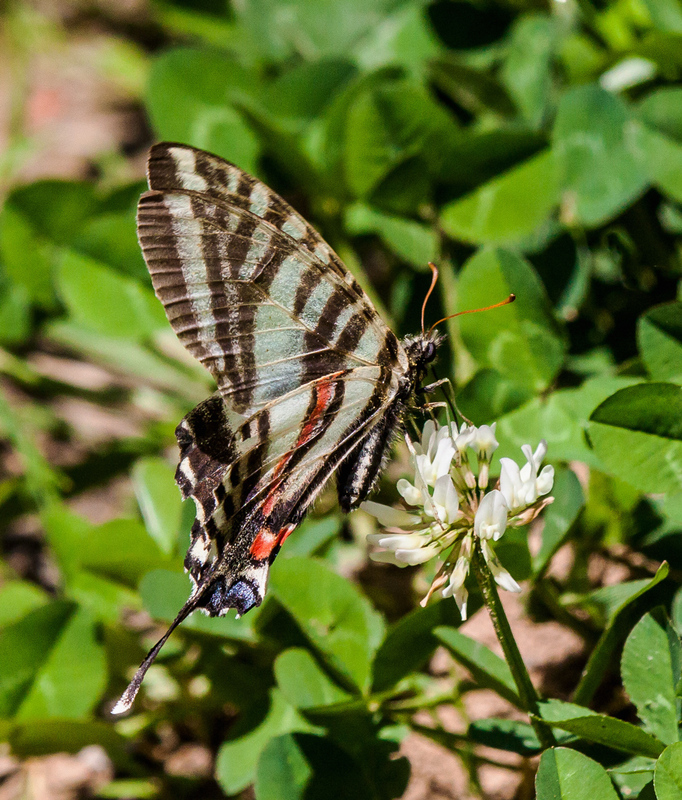 The markings were distinctive enough that it was easy to determine later that it is a Zebra Swallowtail butterfly (Eurytides marcellus), a species that I had never before encountered. 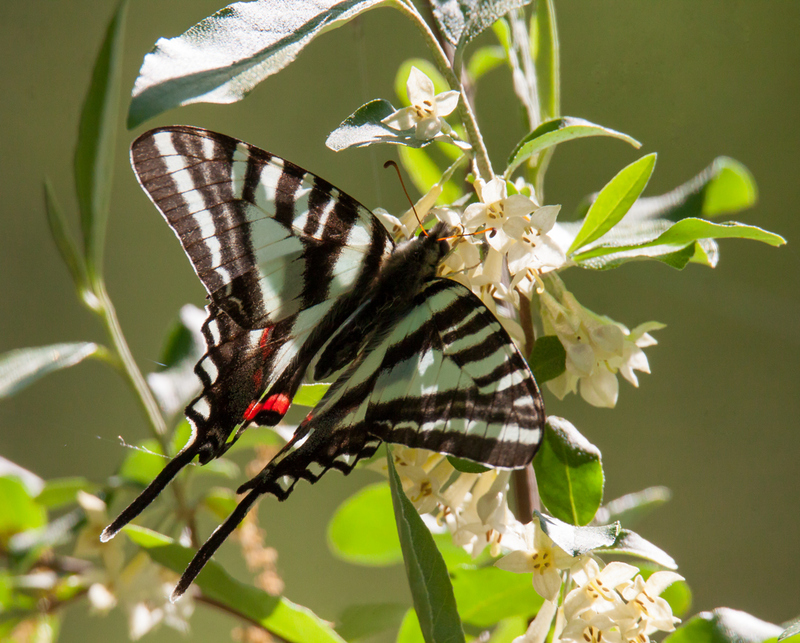 Multiple sources indicate that the Zebra Swallowtail is closely associated with the pawpaw tree, though I don’t know enough about trees and blossoms to determine if that is the plant on which this butterfly was feeding. 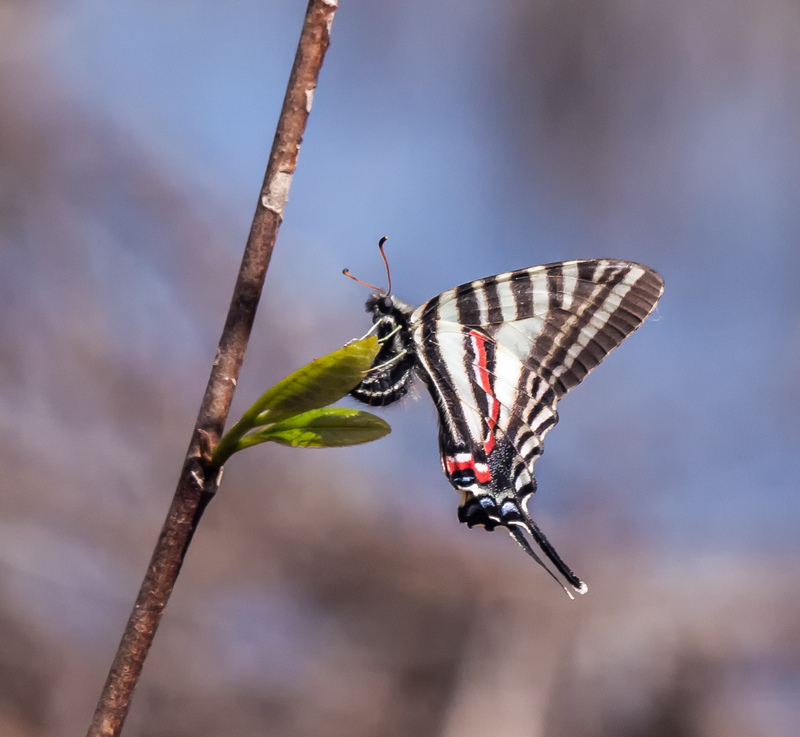 As I was poking about on the internet, I also learned from ereferencedesk.com that in 1995 the Zebra Swallowtail was designated as the official state butterfly of Tennessee. I must confess that I didn’t know that states have official butterflies.